Western Digital Corporation has announced contemporary and innovative redesigns of its iconic My Passport and My Book hard drive lines, which have been highly recognized leading sellers for more than a decade. The newly created cohesive design language is developed to help make a connection between the device and user; include password protection and hardware encryption for customers to love their hard drive as much as they cherish the content stored on it. An award-winning industrial design and branding firm, the re-imagined products were built with the customer in mind, in partnership with fuse project. Khalid Wani, Director – Content Solutions Business, India, Middle East and Africa, Western Digital states, “Western Digital is leading with the idea that design can bring a personal touch to our digital life. Our endeavor is to add value through our products consistently and this time also our team has gone ahead of the curve with elevating design quotient on the new My Passport and My Book drives to enhance user-experience. As part of the re-imagined design, the My Passport drives will come in four vivid colors – Black, Red, White and Blue. The trusted desktop storage device, My Book, combines personal style with a massive amount of storage space, up to 8 TB, so users can keep their photos, videos, music, and documents. Each storage device comes with an automatic backup solution for a seamless, user-friendly process, as well as password protection to help keep your precious data safe. 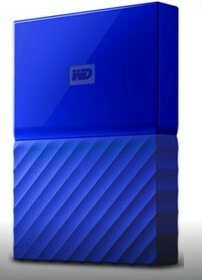 The new WD products includes, My Passport portable hard drives, new attractive design with textured bottom, password protection with 256-bit AES hardware encryption, automatic backup with included WD Backup software, 1TB, 2 TB & 4TB capacity, My Book desktop hard drive – trusted, high capacity backup for PC and Mac, Password protection with hardware encryption, automatic backup with included WD Backup software and Up to 8TB capacity. My Passport hard drives are protected by a 2-year limited warranty and are available at select retailers and distributors around the country. My Book desktop hard drives are protected by a 2-year limited warranty and are available at select retailers and distributors.